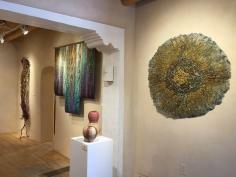 Jennifer Tansey, along with her husband Mike, own and operate two galleries – one here in Denver in LoDo and one in Santa Fe, New Mexico. 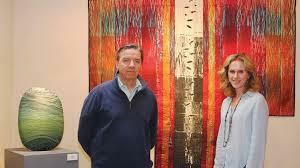 Together, they form a powerhouse in the fine craft/art gallery arena representing artists from across the globe. 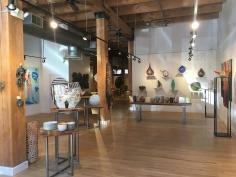 Tansey Contemporary exhibits unique, high quality works across a variety of media including contemporary glass, ceramics, fiber, sculpture and mixed media. Our program is focused at the intersection between fine craft, contemporary art, and design. From a curatorial perspective, we place equal emphasis on the “how” and the “why” – taking into consideration both process and context. While purpose and meaning is fundamental to the value of art to humanity, quality in execution, we believe, is fundamental to the value of craft within the world of the visual arts. For this reason we exclusively exhibit works by artists who display a level of mastery in their chosen medium.